Bath time is such a special time for a parent to share with baby. I am looking forward to the coos, chubby folds of newborn skin and cuddling my freshly bathed babe. Bath time can be a cinch as long as you&apos;ve gathered everything you need before you undress baby. Preparing your bath essentials will make bath time more enjoyable, less stressful and all about special bonding time. 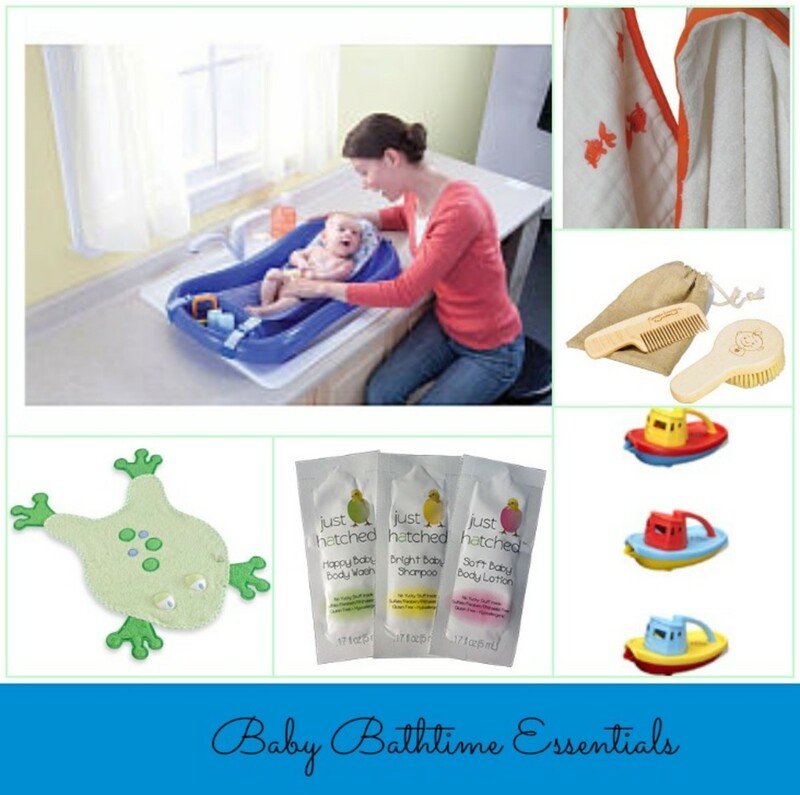 I have rounded up some of my favorite bath essentials to get ready for splishly splashy bathtime fun! Aden & Anais: I am in love with the muslin washcloth and terry hooded towel set from Aden & Anais&apos; Bubble line. Wrap baby in soft coziness with plenty of room to grow. Perfect for babies through toddlerhood. Bath Luv: Bathtime can be a bit too much for some babies, being exposed and immersed in water is overwhelming at first. I recommend a terry bath drape to cover baby while they&apos;re super young. I love the design of Bath Luv&apos;s drapes because it keeps baby&apos;s trunk warm and allows you to wash all necessary parts without overexposing baby. It helped keep both of my children calm and warm. 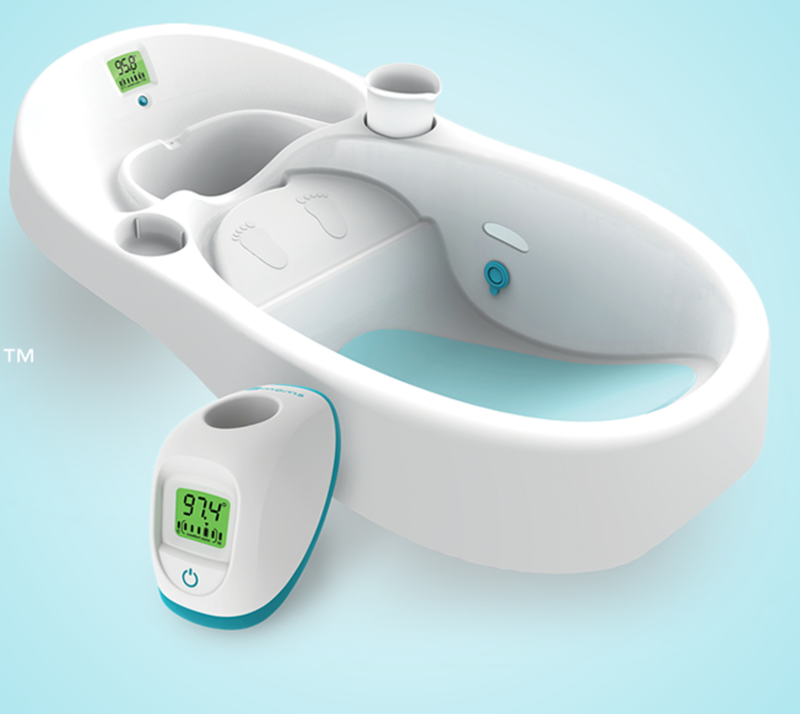 4moms: If you&apos;re looking for the ultimate in bath tubs for baby, then you have to try 4moms Cleanwater bathing system. It allows for fresh, clean water to bathe baby all while filtering out the dirty, used water. I love the color coded, digital temperature gauge that makes sure baby&apos;s water is just right. The infant tub fits most single and double sinks and a handy rinse cup is included. And for when baby is ready for the big tub experience, try the Spout Cover from 4moms. It offers the same color-coded digital temperature gauge as the infant tub, is super easy to install, and doesn&apos;t interfere with the shower/tub diverter. Giggle: For natural hair care sets, we love the Peek-a Boo set from Giggle. Made from sustainalbe sources of solid maple and natural boar bristles, it&apos;s perfectly compact for brushing and combing your little babe&apos;s "do". Complete with gift bag for ease of storing. GreenToys: While I love those water squirters, I have read all too much how they harbor bacteria and other nasties. I love the dual purpose tugboat by Greentoys. Baby can watch the boat float and scoot it along the water and you can use it to rinse baby when bathtime comes to a close. All green toys are made from 100% recycled plastic milk jugs and are FREE of BPA, PVC, phthalates or external coatings and are proudly made in the USA. Kushies: The generous and plush hooded towels and wash cloths from Kushies is just another reason to shop this one stop baby shopping mecca. I love the various prints from polka dots, to birds to modern swirls, Kushies has something for everyone&apos;s bath time needs. For no slip assurance, and more stable footing, I love Kushies adorable animal anti slip appliques. They are cute, easy to stick on and give you stable footing while you bath your babe. Just Hatched: for affordable (they are aiming for wide-spread distribution in Wal-Mart) and safer baby care, you&apos;ll love the full line of skin care from Just Hatched. The lotion goes on in a smooth, thin layer but leaves skin silky soft, non-greasy and without a mess. Just Hatched (4babies) offers a full line of safer, greener and non toxic baby care products at an affordable price point. MAM: Did you know you should start baby&apos;s oral health care routine in infancy? 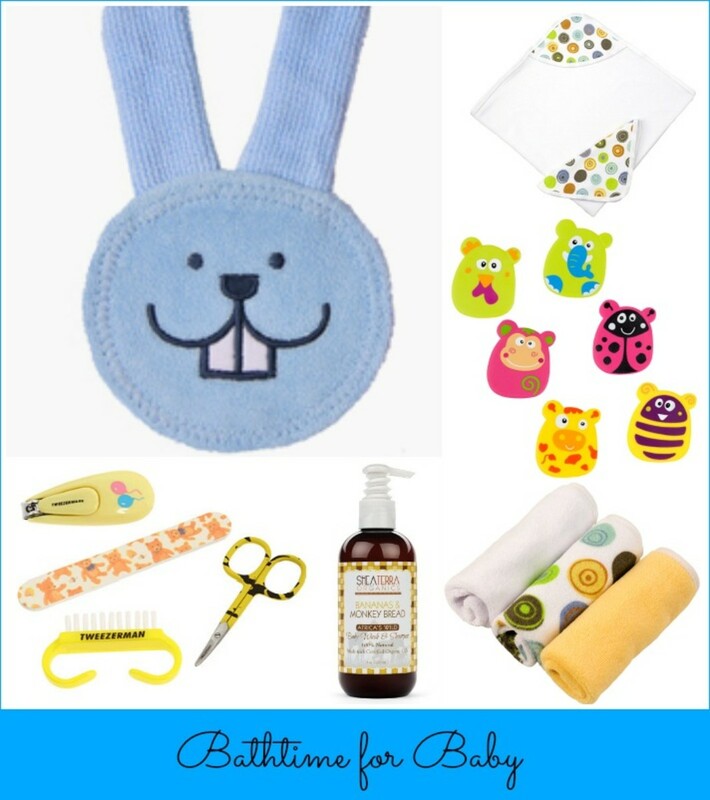 I love the soft, terry cloth shaped like a bunny to not only keep baby&apos;s gums clean but it will double as teething relief when the baby&apos;s first nibblers come in. The adorable bunny from MAM baby will be a welcome sight, getting baby used to keeping his mouth clean without causing any alarm. Orico London: Fit for royalty, the Little Love collection has crossed the Atlantic and now we can feel like members of the court. Little Love baby skin care is free from parabens, and other synthetic ingredients and carries the ECOCERT certified Organic label. I love love love the Little Love Nurturing Baby Massage Oil and know it will be perfect to nurture, calm and leave baby&apos;s skin super soft (it is fast absorbing and not sticky!) All of the Little Love line contains the natural essential oil, Neroli Oil - a baby-safe essential oil which calms and reassures baby =happy mama. Shea Terra Organics: If you think you&apos;ve smelled the most heavenly baby, then you haven&apos;t smelled Bananas & Monkey Bread by Shea Terra Organics. 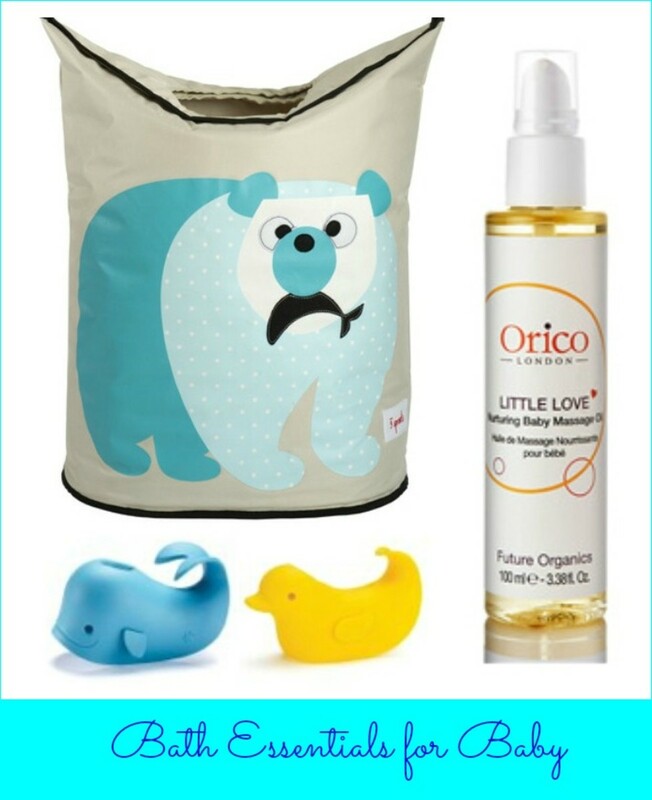 It is the yummiest smelling, organic baby line I have tried. Not only it is it made with organic, ingredients (like real banana essential oil! ), it works well, is super gentle and leaves baby smelling good enough to eat (we will have to settle for nibbles!) They offer a full line of organic skin care products for both you and baby, all-natural, and free of toxins. Skip Hop: I made the mistake of not having a spout cover one time before and after seeing your young child bunk into the harsh spout, I recommend that you cover it. Whether you choose the adorable whale or duck, Skip Hop spout protector will keep both of you covered. The First Years: Simple in design but with appropriate ergonomic support, the First Years Sure Comfort Deluxe tub has a washable (favorite feature!) detachable liner makes this a top choice for newborn bathing as well as older babies&apos; bathtime fun. It is easy to keep clean, dries quickly and is an affordable choice. I love that I don&apos;t have to waste a ton of water while bathing baby, simply fill up the Deluxe Comfort Tub and we&apos;re ready for splash time! 3 Sprouts: You will be amazed at the amount of laundry your new little family member produces, but keep your chin up by corralling it in this adorable polar bear laundry hamper from Three Sprouts. Adorable enough to double as nursery decor and sizable enough to hold all of baby&apos;s duds. Tweezerman: cutting little nails is one of my least favorite things to do with a baby. A good manicure set is invaluable to a new parent, enabling you to trim the fast growing, sharp and (yes, somewhat enviable!) nails in no time. Tweezerman offers a perfect 4 piece set that includes everything you need to keep scratches to a minimum. A few samples were received for review.